You have probably heard of the benefits of green tea associated with weight loss. It just so happens that you can receive way more positive benefits to your health when consuming green tea! If you happen to want to lose weight then green tea is ideal, but let’s observe everything else it has to offer. Believe it or not, green tea can help in the prevention of tooth decay. This is because it contains antibacterial agents which can destroy plaque. We all know that plaque is the underlining cause of various dental issues. Not many people realize that green tea helps your teeth and prevents rotting. Although you won’t be able to avoid the dentist completely, it can still help! The same antibacterial agents can also help in the prevention of food poisoning. When you get food poisoning, it is from the build-up of bacteria which is very harmful. With consuming green tea however, that same bacteria will not be able to multiple, which causes the issue. There is something about green tea that calms you down. Perhaps more so when it is hot. Regardless of the temperature, it is a stress reducer. It can relieve you from stressors that can further cause disease. If you are in pain, it can also calm that down as well! It does so by reducing inflammation with things such as arthritis. Specifically, the swelling in your joints can be reduced when consuming green tea. Although some may argue this point, green tea contains antioxidants which help to fight against various things. It can supposedly go as far as helping in the fight against specific cancers in the body. It can help reduce the risk of someone getting cancer because of its ability to neutralize the negative effects that cells can have. People who seek to control their high levels of cholesterol also turn to the consumption of green teas. It can help to balance there cholesterol levels, assist in the reduction of clots, and so on. It is no mystery that with high levels of cholesterol come higher risks for strokes and cardiovascular problems. With green tea, the dangers are reduced and life threatening illnesses are less likely to occur. Now that you are fully aware that with green tea comes more than just weight loss, the next obvious question is how much should you be drinking in order to see these benefits? In answering that question, consider that there are no side effects when drinking green tea. The only issue that may arise is consuming too much green tea than what the experts recommend. This recommendation is at least three cups of green tea per day. On that same note, drinking over six cups per day can cause heart palpitations. This is when the heart beats irregularly. It occurs because you have consumed too much caffeine from the green tea. 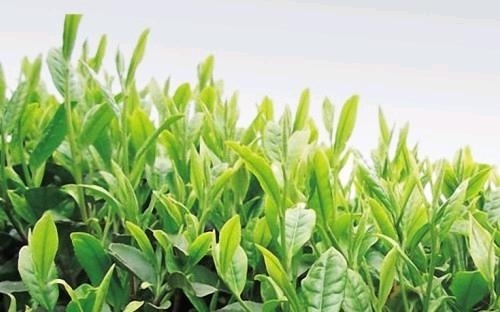 What Type of Green Tea is Best to Consume? When it comes to shopping for green tea you will want to purchase the kind that is most beneficial to your health. There are more bad teas than there are good ones. You will not want to be sold short. With research it was found that the more catechins found in your cup of green tea, the more health benefits you will experience. This means the more, the merrier! Many teas only have about half of what they could have if they were all natural. Here are some things to consider when purchasing the ideal green tea. Although they can be misleading, you will want to stay away from the products that offer green tea in a bottle or can. This is because they typically add a lot of sugar which means more caloric intake. The numbers of catechins are minimal within these products, and they typically include artificial flavoring. This means colors, preservatives, and more have been added, making these products anything but all natural. You can find instant mixes that simply instruct you to add water and mix. Again, these products do not have the high amounts of catechins which is what you want. They also come in various flavors, but again, just as the cans and bottles they are not all natural which is what works best. These options are getting closer to the all natural green tea. While tea bags taste delicious and are better versus your powered teas, canned teas, or bottles teas, they aren’t green tea at its purest form. The best way to drink tea is by drinking loose tea. The less handled, the purer it is, the better it is for your health. 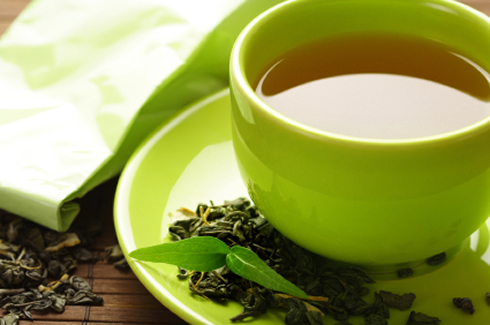 Instead of drinking coffee that has many negative health benefits, replace your morning cup-of-Joe with green tea. If you are ready to take this challenge, we would love for you to share your experiences. Give green tea a few weeks and let us know if you have lost weight, if you have a reduction of stress, and so on.